Collaboration in distributed settings has become a reality in organizational life, yet we still have much to learn. One important area of study is the integration of Collaboration Engineering in distributed, or virtual, teams. Collaboration Engineering offers promising guidelines for process structure, but its application in distributed arenas is just beginning to be studied. 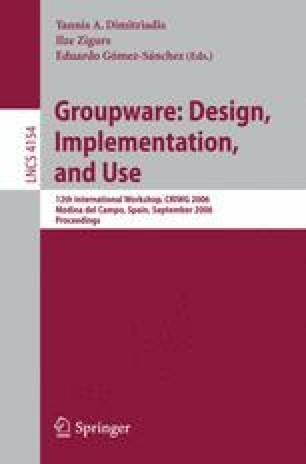 We report on the design and development of a new collaboration environment for the incorporation of Collaboration Engineering principles, as well as the results of an initial study that examined leadership and process structure effects on the development of shared understanding. We discuss both technical and environmental challenges for research on Collaboration Engineering in distributed environments.